Italy has a very picturesque coastline with a smattering of beautiful hidden locations nestled among the coastal mountains, tiny fishing ports and small historical resorts that cater to tourists but maintain their charm. This article will look at ten of the most charming seaside villages Italy has to offer. This little gem lies nestled in the mountains that tower above the sea on the Amalfi Coast. The pastel-painted houses create a palette of color against the silvery pebble beach and the backdrop of the Monti Lattari. The village has one street and several sets of steep stairways that are just perfect to explore. 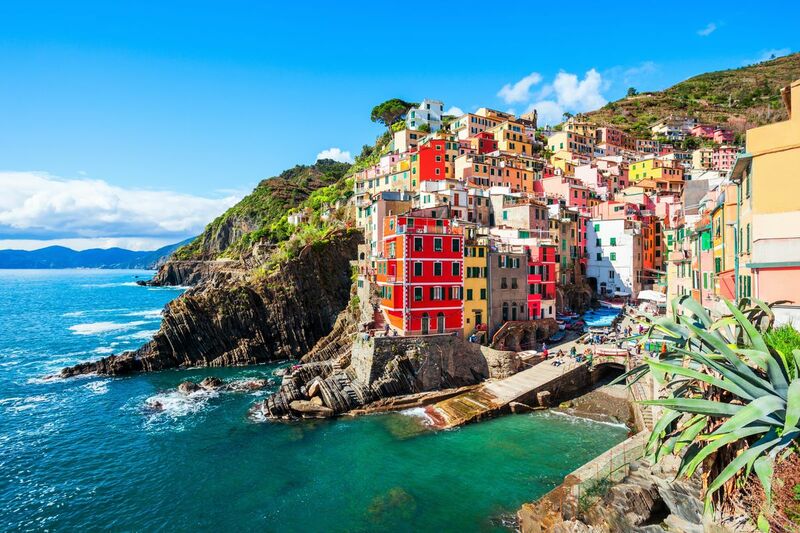 Manarola is one of five towns that make up the Cinque Terre on the Riviera. It is built on a black rock foundation with pretty colored buildings looking over a picturesque marine. There are vineyards around the hills and some beautiful views along the many paths and trails leading from the town and harbor. Portofino is a beautifully picturesque fishing village popular with celebrities with brightly colored houses that stretch along the shoreline. There are several little streets that lead up from the harbor just waiting to be explored with some souvenir shops, boutiques, and restaurants. It also has a marina where you can watch the yachts coming and going, art galleries and other places of historical interest. 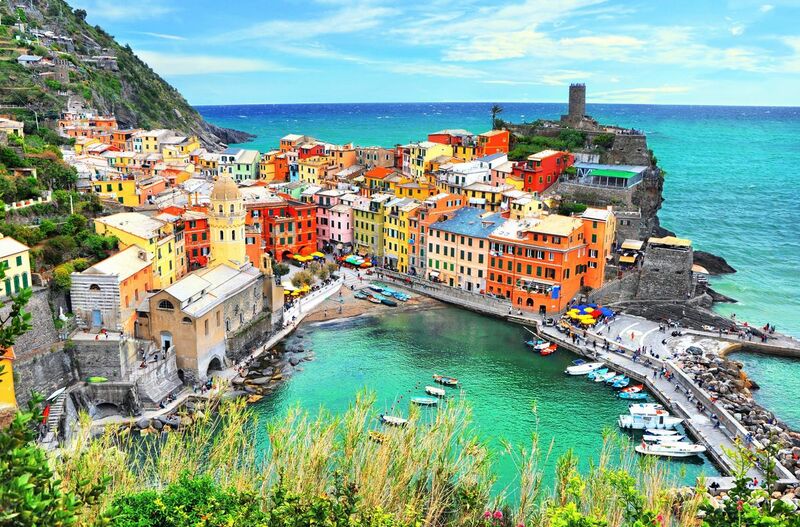 Vernazza is a true fishing village which has no access to car traffic. It is another of the towns that make up the Cinque Terra and is located between a cliff and the sea and is part of the National Park of the Cinque Terra and a World Heritage Site. 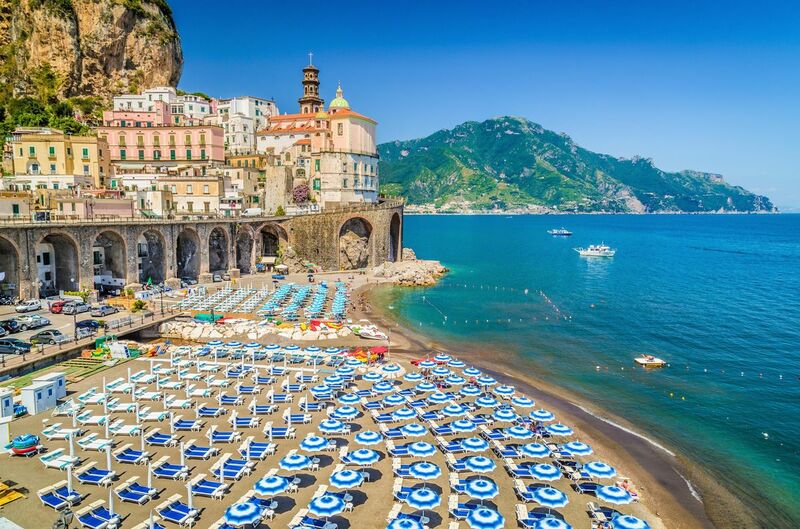 This romantic town is located just a few minutes away from Amalfi and is the smallest community in the whole of Italy. It features several antique charms including houses with flowered balconies and a passageway that was created to protect the boats from storms. It is a fishing town where the houses climb up the side of the valley intermingled with beautiful gardens and lemon groves. Sorrento is a popular destination for tourists that overlooks the Bay of Naples. It is famous for Limoncello an alcoholic drink made with lemon rinds and sugar. Although there is no beach, it is a picturesque old town which has some great specialist shops including ceramics, lace, and souvenirs. Sorrento is nestled between cliffs and surrounded by beautiful countryside. The atmosphere in Taormina is described as magical and enchanting. It is nestled on the Monte Tauro hill with views over two bays, Mount Etna and views for over a hundred miles of Mediterranean Sea. There is a lovely blend of historical tradition, charming ambiance, and culture making Taormina one of the top tourist destinations in the world. This little town is located on the edge of cliffs along a stretch on the Tyrrhenian Sea in the Calabria region. Many of the pretty, brightly colored buildings are flush with the cliff-side and overlook the beautiful beaches and crystal clear turquoise water with staircases that lead down to the shimmering white sands. The views are spectacular with the blend of the house colors and roof tiles set against the backdrop of rising mountains. Riomaggiore is a small village which dates back to the early 13th Century, lying in a small valley in the Liguria region. The houses around the small harbor look like they are stacked on top of each other in towers and are painted beautiful colors. The waters are crystal clear and serene and this village also forms part of the Cinque Terre with incredible views especially at twilight. Another little ancient treasure in the Cinque Terre. This small town is divided into two parts the old and the new which are divided by a tunnel which allows passage of pedestrians and cars between the two parts. This region is famous for its lemon groves, white wine, grapes, and olives. Natalie is a freelance travel writer born in Belgium and living in the USA. She has traveled to 40-plus countries and lived on four continents. She loves experiencing new places, soaking up their art, food, and culture.